Pick up from the airport, you will start your journey towards the lake of the Great Rift Valley. Arrival at your lodge will be in time for buffet lunch. After check in a quick lunch in the lodge you will depart for a game-drive in Lake Nakuru National Park along the shorelines of the lake. Dinner and overnight at your lodge/camp. Lake Nakuru is a shallow alkaline lake that is world-renowned for its huge concentration of flamingos; at times, hundreds of thousands of these birds give the lake a pink shimmering glow (flamingo numbers are dependent on water levels in the lake). The park boasts a huge variety of animals, including leopard which is often found snoozing on the branches of the magnificent yellow-barked acacias, lion, buffalo, hippo, waterbuck, warthog, baboon, the endangered Rothschild’s giraffe only found in this park in Kenya, white rhino and the rare black rhino which is protected and guarded here. After an early breakfast, your journey now takes you to the Masai Mara, Kenya’s most famous wildlife reserve. The drive takes you down the Great Rift Valley offering great views over the wilderness and Mt Longonot. The drive is around 4 hrs to the gate. Arrive in time for lunch followed by afternoon game viewing drive. The Masai Mara is arguably Kenya’s most popular game reserve. It is the most visited game reserve in Kenya. The film “Out of Africa” was made to a great extent in this sanctuary. There is a profusion of all types of wildlife including the big five. A spectacle worth seeing is the annual migration of millions of wildebeests, zebras, and the gazelles from the Serengeti plains across the Tanzania border and the Mara River to reach Masai Mara grazing fields from late June. The game reserve abounds with bird life since close to about four hundred and fifty two odd species have been recorded. Today spend a full day in the Masai Mara. Depending on what the wildlife situation is like which the guides will discover on your arrival day, they will discuss with you how to plan this day accordingly. You might like to do an early morning game drive returning to the lodge for breakfast and then going out again and coming back for lunch with the afternoon to relax and then going out again in the afternoon around 1600 hrs. Alternatively, you might take an early breakfast and then go out for the day and carry lunch boxes with you. The choice is yours and the best solution will be discussed between yourself and your guide. Returning in the evening for dinner and overnight at your chosen property. After an early breakfast at the lodge/camp, bid farewell to the Mara as you set on your journey back to Nairobi. Drive back down the Great Rift Valley to Nairobi, passing the dormant volcano, Mount Longonot. Keep an eye out for herds of giraffe and gazelle and head up the escarpment. Arrive in Kenya’s bustling capital city Nairobi where you will be transferred to the airport for your departure flight back home with sweet memories of the safari. 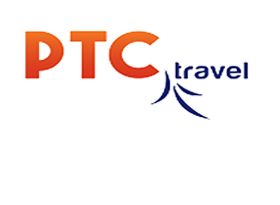 PTC stands best when it comes to the best deals for your vacation.